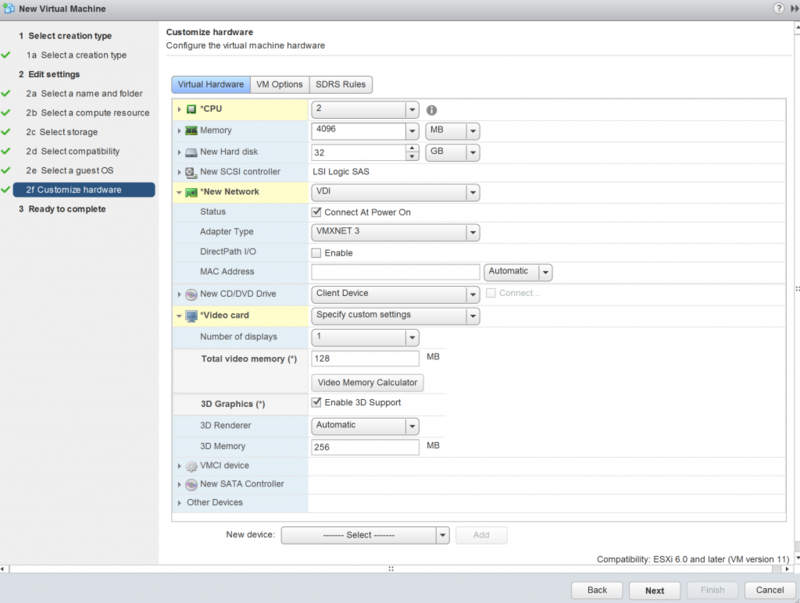 In this chapter we create the (golden image) Virtual Machine in vCenter. 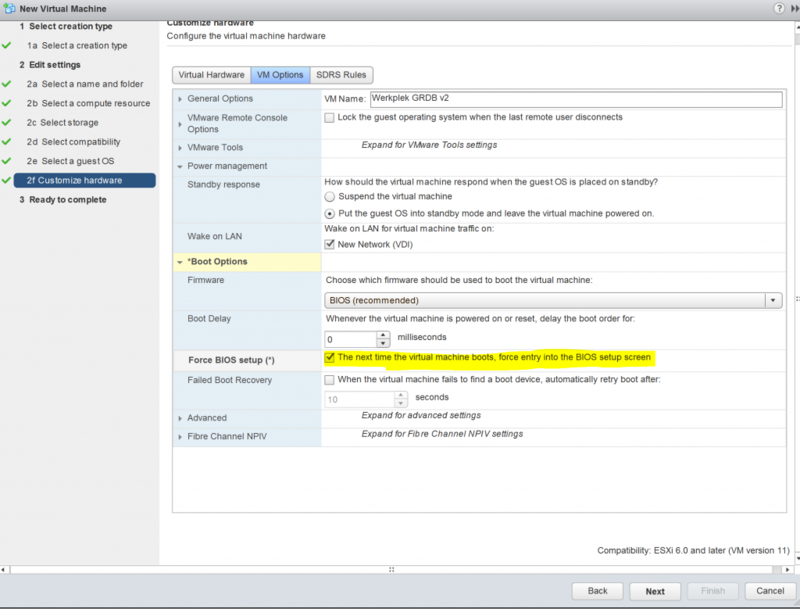 make sure your ESXi hosts are all the same version. 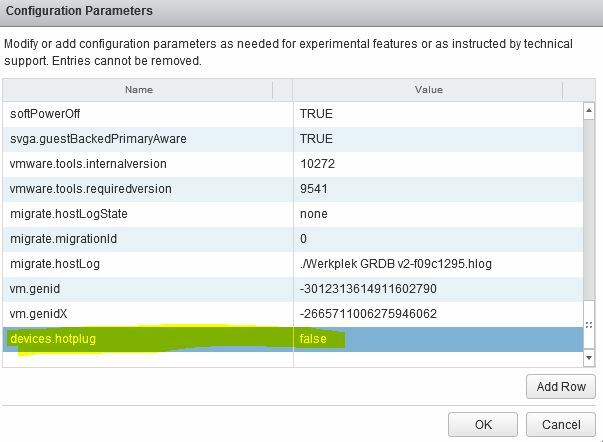 To make sure you are compatible i aslo recommend using at least ESXi 6.0 (or higher). This sounds like common sense but please make sure you have decent storage solution in place. 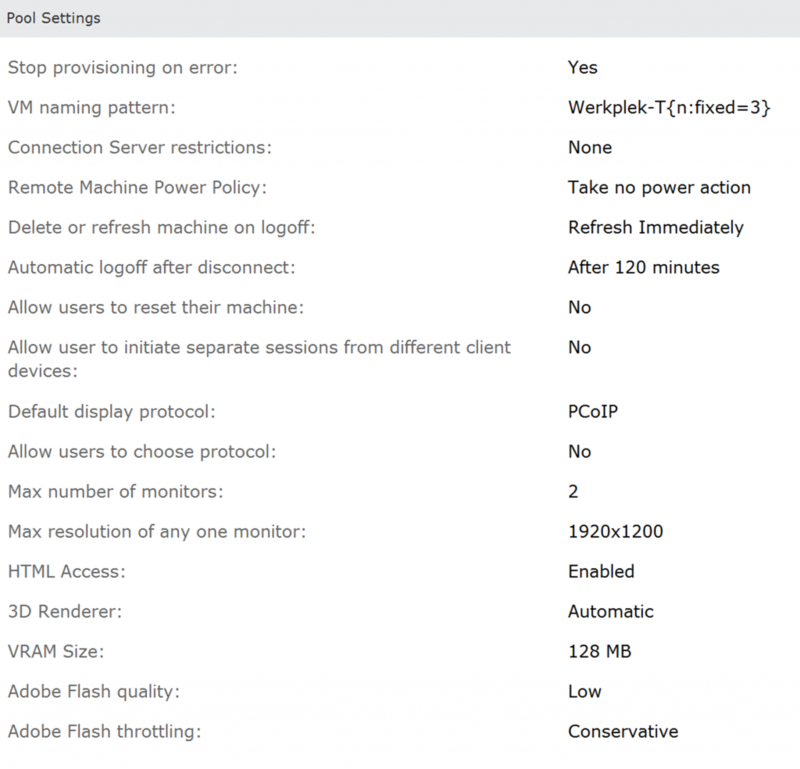 local SSD still works fine but is inefficient for doing maintenance in your VDI environment. You can delete the Floppy drive, pretty sure your not needing that anymore. 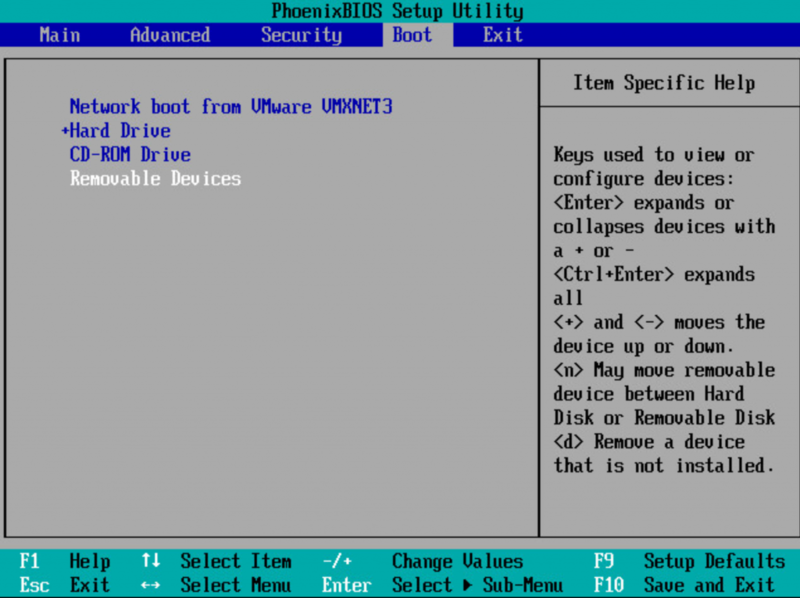 You can also delete the serial ports, parallel and floppy disk controller. 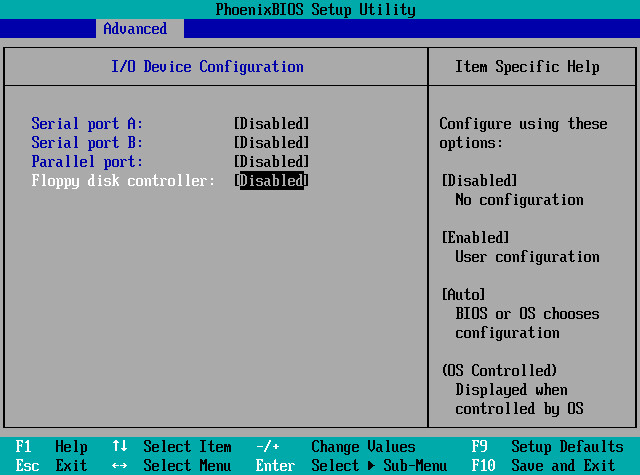 Because we need to adjust the BIOS settings of the Virtual Machine, in the ‘VM Options’ we enable the option to force the VM to start in the BIOS the first time we start the VM. 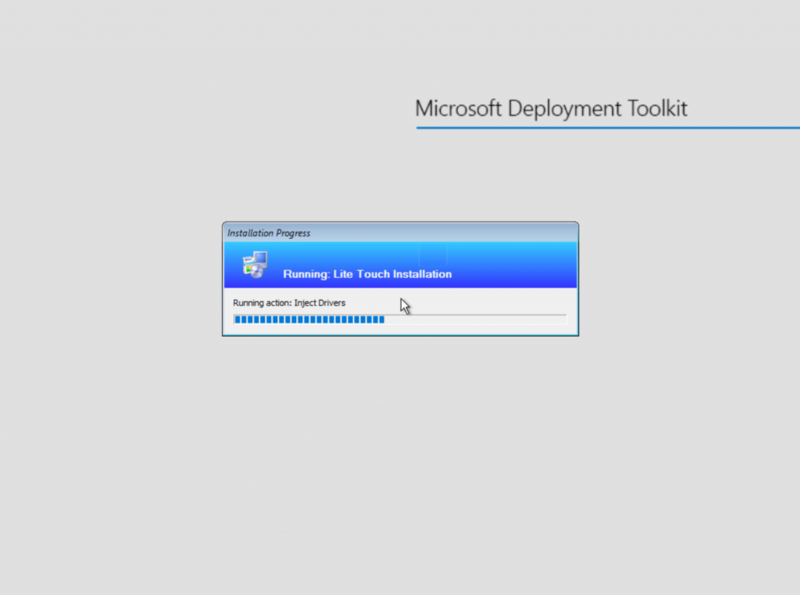 Then we start the VM and adjust the ‘Boot’ options, we configure the Network boot in first place. The ‘Hard Drive’ (which isn’t that hard 😉 second. 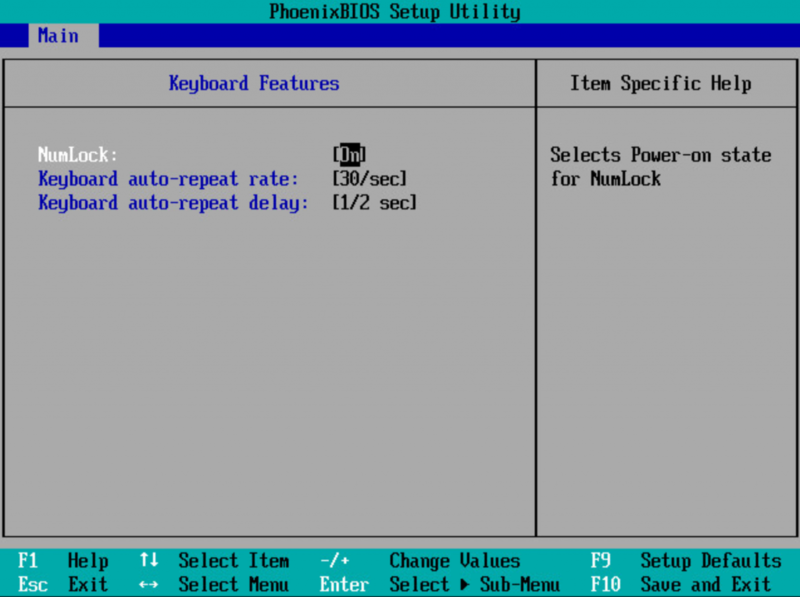 Another practical tip is to enable ‘Numlock in the BIOS’, we can do that by choosing ‘Keyboard Features’ in the ‘Main’ Screen. 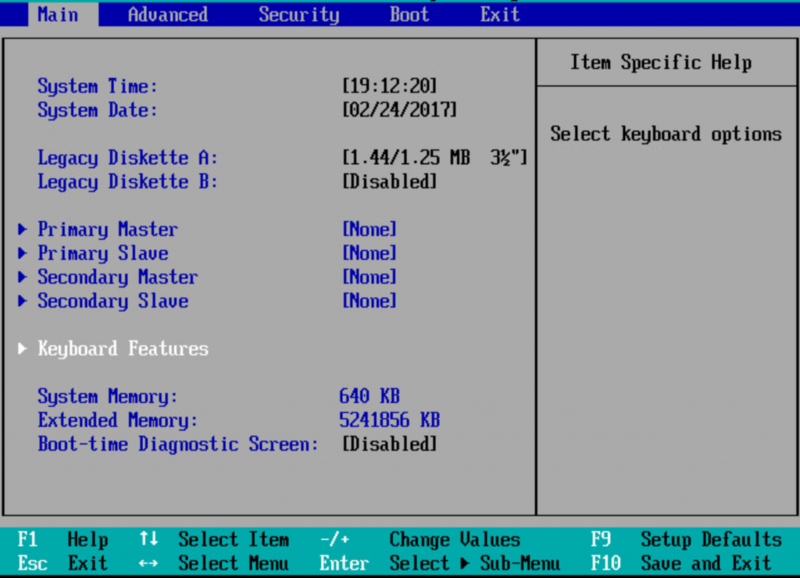 I also recommend to disable the Serial and Parallel ports and floppy controller in the BIOS. Next we create the VMware Horizon View Pool, i recommend using version Horzion View 6 or higher for delivering your Windows 10 virtual Workspace.